Today was our first attempt at making EasiYo ice cream. Why make ice cream when it’s cheaper to purchase the readymade end product? There are two reasons. The first is the flexibility it provides. The ice cream is in a sachet so we are able to carry a sizeable quantity ready to be made whereas the finished product takes up room in the freezer. The second reason is taste! The EasiYo allows us to use our imagination and make whatever flavour we like. 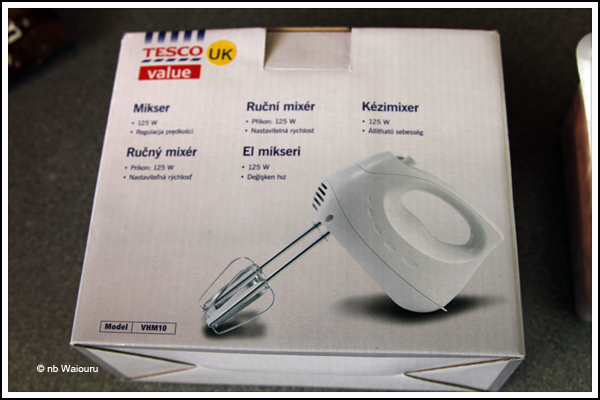 You can purchase the EasiYo ice cream making kit for about £9. What you get for your money is a 1.5 litre plastic container with a lid and two sachets. One vanilla and the other chocolate. Although we purchased the kit, frankly I don’t think it’s necessary. We’re not that interested in chocolate ice cream and would have preferred two vanilla sachets. The process is very easy with the instructions on the back of the sachet. Add cold water to the contents of the sachet and mix in the container. Place the container in the freezer until it starts to harden and then remove. The mixture should have the consistency of sorbet. The mixture will only quarter fill the container. Then you need one of these………. Got ours from Tesco at less than £5. Beat the mixture in the container for up to 5 minutes on full speed. Make sure you get into the corners and the base. The mixture will more than double in volume. With my first attempt the mixture almost overflowed the container. Place back in the freezer until set. Of course you could add whatever flavours, fruits, etc to the mixture. I don’t believe the 1.5 litre container is necessary and the mixture could be made in any suitable sized container. 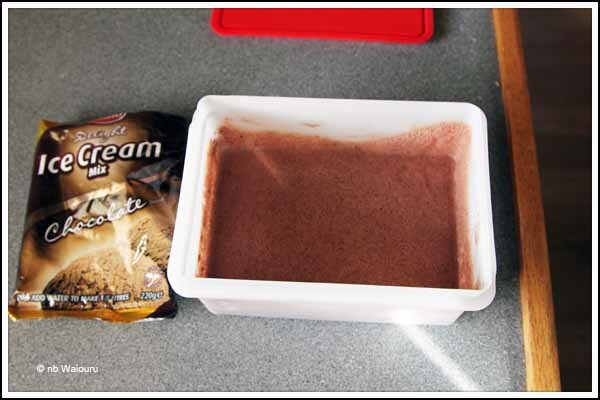 Then, when the final mixing is complete the ice cream could be transferred to one or more containers for setting in the freezer. The chocolate flavour has now been tested. It certainly tasted of chocolate and was creamy. However I’m reserving final judgement until I’ve sampled (tested) the vanilla sachet. Oh, where did we get the EasiYo sachets. They are stocked by most Lakeland, Julian Greaves and Lawsons stores. Alternatively, you can got to the EasiYo website <here> and look for a local stockist or order online. Bruce on nb Sanity recently posted about a method where it was possible to extend the volume of EasiYo yoghurt produced from one sachet. 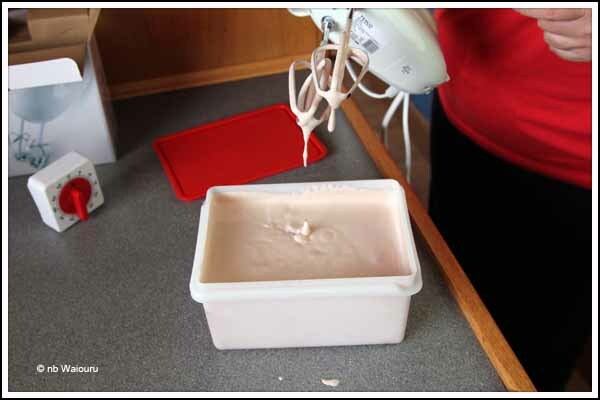 Jan now has another method which is simpler and produces even more yoghurt from one sachet. I’ll describe how this is achieved in a future post.